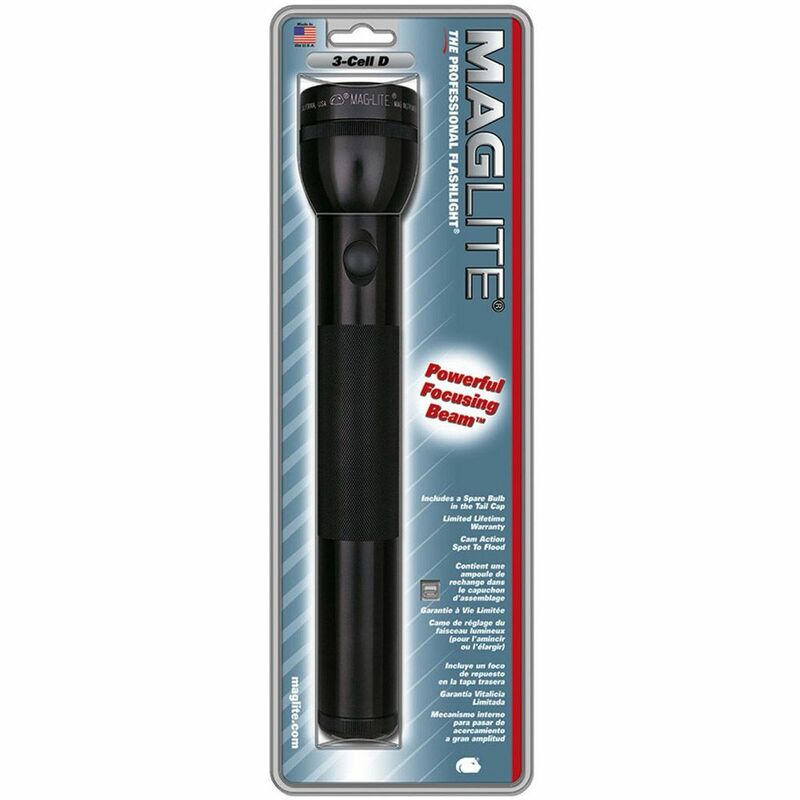 3 D Cell Maglite Flashlight is the one made up of machined aluminum and also has a spot to flood beam. It features high intensity water and shock resistant, very powerful focusing beam. There is also a spare lamp which comes with this and it is the one engineered for sheer brilliance. It is very easy to carry this D Cell Maglite Flashlight over adventures and other trips and is also very light in weight.